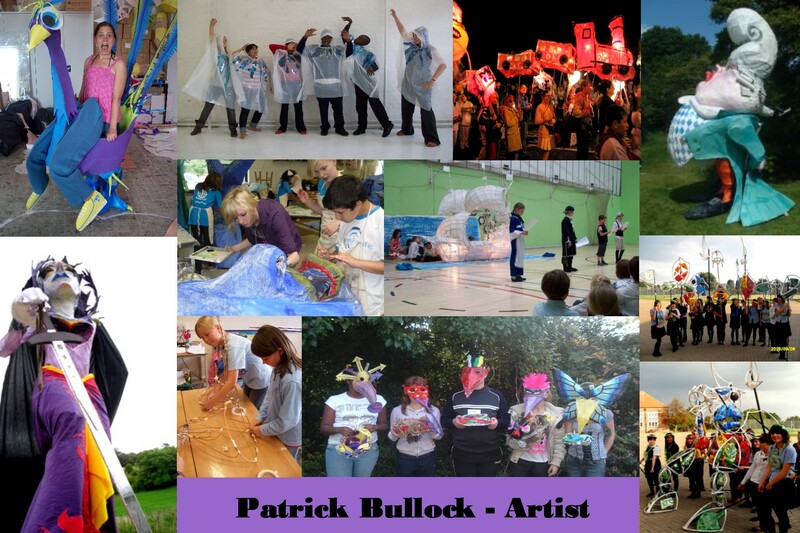 For the last sixteen years I have worked as a community artist in a variety of settings, including primary schools, secondary schools, community groups and hospitals as well as theatres and international arts groups. I am highly experienced in working with children and adults of all ages and abilities, a range from early years to sixth form level and beyond. I have led whole school arts projects, collaborating successfully with teams of teachers in realising their learning objectives. I have designed, planned and led drop in arts workshops at various festivals and outdoor events, as well as taking on more responsibility as creative director organising school participation in Brighton festivals and parades, including the annual Children’s parade and Burning of the Clocks. I have also had some experience of working with cohorts of children with specific learning needs, for example, working with a group of residents at Chalkhill children’s psychiatric unit, helping them through a difficult transition period into a new hospital site. I have also had some experience working with children with physical and sensory disabilities over the course of my work with Same Sky. On Behalf of EEA, Same Sky and other arts organisations I have helped design and run Master Classes on withy construction techniques, good workshop practice and parade participation to teachers and other arts professionals.